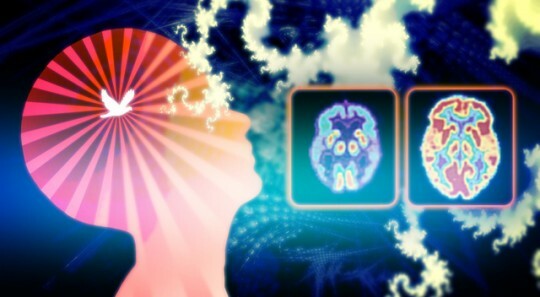 Binaural beats are a popular way of training your brain to produce brainwaves of a certain frequency. 2.1 How are binaural beats produced? 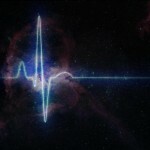 3 But how effective are binaural beats really? 4 Maybe a slight entrainment effect from binaural beats? 6 So why do many people still insist on using binaural beats? 7 Conclusion: throw away all your binaural beats tracks? For example: if you stimulate your brain with “alpha waves” (frequencies between 8 and 12 hz), the result would be that you feel more relaxed and less anxious/stressed. 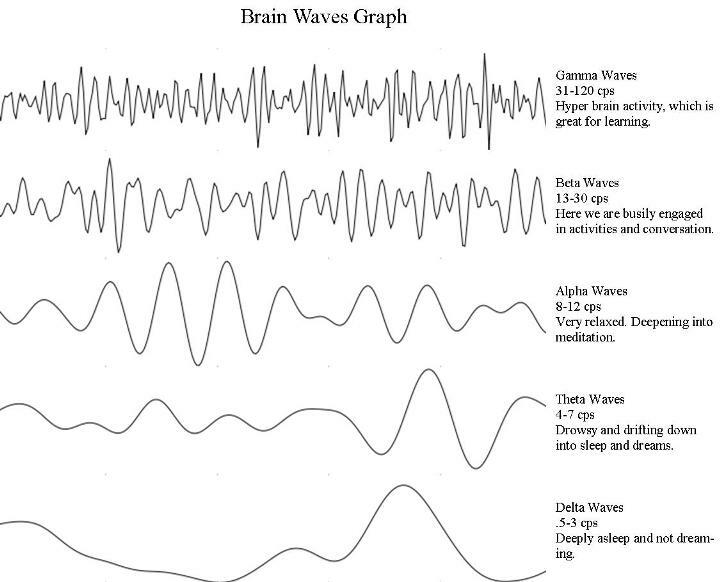 And if you present your brain with frequencies in the “theta” range, you might experience drowsiness and sleepiness. 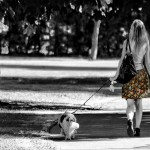 The tendency of the brain to “fall in step” with a presented stimulus is called “entrainment”. And binaural beats are by far the most popular way to “entrain” the brain. There are a lot of binaural beat cd’s and tracks being sold on the internet (and sometimes at a high price!). How are binaural beats produced? Binaural beats are created by presenting two different tones at slightly different pitches (or frequencies) separately into each ear. 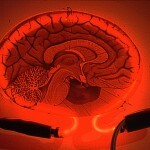 The effect of a third frequency is produced within your brain itself. 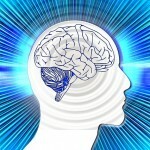 But how effective are binaural beats really? To compare: isochronic tones and monaural beats have a 50 db difference between loud and quiet. Which is a 100,000-to-1 ratio. What binaural beats look like. Note the small amplitude (the difference between the highest peaks and the lowest peaks)! In my own experience, binaural beats did produce an effect. In my early twenties I was a bad sleeper and with the help of a binaural beat cd, I learned how to sleep deeper during the night. I also taught myself to have naps during the day (something which was next to impossible for my nervous personality back then!). And some 10 years after that, that same cd erased my partner’s regular trouble to fall asleep at night. Ok, not scientific proof as such: it might be a placebo effect at work, or just the fact of taking time out to relax and listen to the cd helped a lot. But fact is: my partner and I greatly benefited from it. And not just us, many other people around the globe have had similar successes. One proof of that statement is the amount of testimonials of “The Gateway Program”. 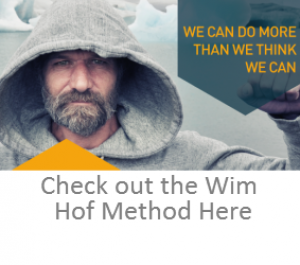 The Monroe Institute’s Gateway Program is a 6 day course in which “hemi-sync” tapes are used to induce meditative states and altered states of consciousness in participants. The Gateway Program has, over the years (since the seventies), helped numerous people reach different levels of human consciousness, including states in which they claim to have experienced out-of-body experiences, visited other “reality systems” or had “contact with deceased family members”. Maybe a slight entrainment effect from binaural beats? Personally, I have no doubt that at least some entrainment is produced with binaural beats technology (such as hemi sync). The conclusion is that studies examining binaural beat entrainment have yielded inconsistent results. Some (Schwarz & Taylor, Karino et al, Brady & Stevens) have reported increases in spectral density at the theta frequency. ‘results were not supportive of the specific efficacy of the theta binaural beat training employed in this study in either increasing frontal theta EEG activity or in increasing hypnotic susceptibility. There were no significant differences between the experimental and control conditions in any of the EEG measures. There was an increase of the Profile of Mood States depression subscale in the experimental condition relative to the control condition (p = 0.02). There was also a significant decrease in immediate verbal memory recall (p = 0.03) in the experimental condition compared to control condition. We did not find support for steady-state entrainment of the scalp-recorded EEG while listening to 7-Hz binaural beats. Although our data indicated increased depression and poorer immediate recall after listening to binaural beats, larger studies are needed to confirm these findings. This study by Goodin et al from 2012 also showed no results. But if I read that article correctly it looks like they have exposed the participating subjects to binaural beats for only 2 minutes, which I always believed to be too short to produce any entrainment. …binaural beats are the least effective of all. Monaural beats are actually more effective than binaural beats. Monaural beats, or monaural tones, are produced by mixing two tones of different frequencies, but (contrary to binaural beats) this occurs outside of the ears. By the way, binaural beats played through loudspeakers become monaural beats! What monaural beats or tones look like. Compared to binaural beats, the amplitude is much higher. The third form of auditory entrainment are isochronic tones. Said to be the most effective type of auditory brainwave entrainment, because of the distinct “on and off” impulses they provide to the human ear. Isochronic tones are regular beats of a single tone. 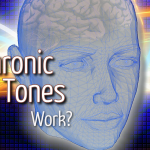 An isochronic tone is a tone that is being turned on and off rapidly. They create sharp, distinctive pulses of sound. The volume or intensity of the sound goes almost directly from 0 to 100 and back again in an evenly-spaced manner. They differ from monaural beats, which are constant sine wave pulses rather than entirely separate pulses of a single tone. What isochronic tones look like. They’re just separate tones that turn on and off. The difference with monaural tones is that isochronic tones are rather sharp tones. Monaural beats turn on and off more gently and therefore are smoother beats. Some people can find the isochronic pulse tones too stimulating. Note: the most efficient form of entrainment is actually not auditory, but visual. c) eyes-closed auditory entrainment produced increased 18.5 Hz EEG activity by 21%. So, what if you could have both, auditory and visual? That’s exactly what mind machines do. The unique combination of both these entrainmant modalities make them probably the most efficient tool on the market today for brainwave entrainment. So why do many people still insist on using binaural beats? I don’t know. Maybe because they’re the easiest to find on the market? Personally, I still use them too. At some times I like them more because they’re “gentler” and not as invasive as the isochronic tones. They can be more pleasant to listen to. 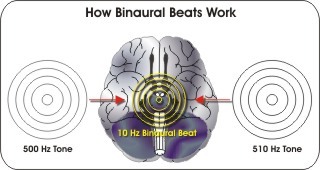 One benefit that binaural beats do have over the other forms of entrainment is: they produce better hemispherical synchronization (meaning: they help the two sides of the brain work together more harmoniously). Both sides of the brain have to work together to produce the sound you hear. Dave Siever’s newest devices also have, besides the standard isochronic tones and light pulses they provide, the possibility to include monaural as well as binaural beats into the mix that reaches your ears. So he must think these binaural beats have at least some efficiency. Conclusion: throw away all your binaural beats tracks? But the advice I do take from this research is to play any binaural beats through loudspeakers. In that way you’re effectively transforming them into monaural beats, which are far more effective. This phenomenon was thoroughly researched and tested in 1973 by biophysicist Gerald Oster at Mount Sinai Hospital in New York City. His research on binaural beats and the Frequency Following Response was published in Scientific American and paved the way for further development in the area of auditory stimulation to enhance brain functioning. There is no author, nor any citation equipment available, how reliable can this source be. If the author could please update with credit to themselves, that would be lovely for anyone trying to use this as a source. Euh… the article talks about “Dave Siever”, and about many studies done, like Frederick, Lubar, Rasey, Brim, & Blackburn (1999), Stevens et al, (2003), Goodin et al from 2012, and more. Please read the article again. Dave Siever is an ignorant jerk if he says binaural beats are a scam. A pseudo-expert who believes his own B*S* over decades of valid SCIENTIFIC research, with results from decreased learning time, heightened serotonin and lowered cortisol, to increased reaction time, lowered BP and enhanced memory. Seems to have hit a nerve. But I guess Sievers is entitled to his opinion. He even states it without swearing. Also, are you not in the same boat, mixing science and selling? Ah, you know, opinions differ. And how can we ever know something 100% for sure anyway? So I wouldn’t sweat it. I didn’t notice any bashing… I believe BB have an effect. Thanks. That’s the pdf version of the article I’m linking to in my post. Binaural Beats work better for me, especially Gamma Waves. Isochronic beeping seems to annoy me, I can’t listen to it for more than 10 minutes. In his Saybrook University course on stim technologies, Dave refers to binaural beats as a quote-unquote “scam.” The biggest scam on the internet or something to that effect.